The Werner Bookcase is one for the book lovers. 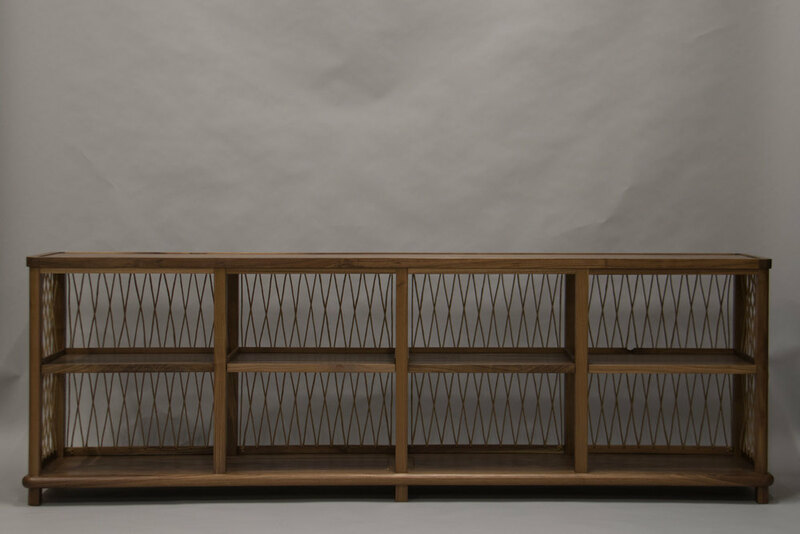 Blending inspiration from modern, mid-century and craft styles, this book case is made from walnut wood with a satin polyurethane finish and laced with paper rush that is usually used for weaving seating surfaces for chairs. The woven walls provide some partitioning to prevent books from falling out but also invites light into the negative space, making this ideal for use in open spaces. Available in Walnut, Maple, Cherry and White Oak. Shown here in 4 x 2 configuration (87.25" L x 28.25 H x 14.75" D). Also available in 3 x 2, 2 x 3, 2 x 2, 1 x 3 and 1 x 2.